If you think you need help with social care in Leeds, read this directory for an overview of how the adult care system works. It can provide you with an insight into paying for care, finding a nursing home and staying independent. 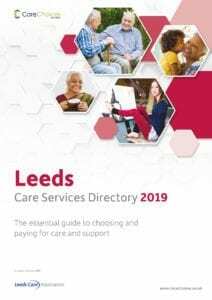 Leeds City Council can send you a free copy of the Leeds Care Directory. Call 0113 247 8630. Or call Care Choices direct to order a copy on 0800 389 2077.